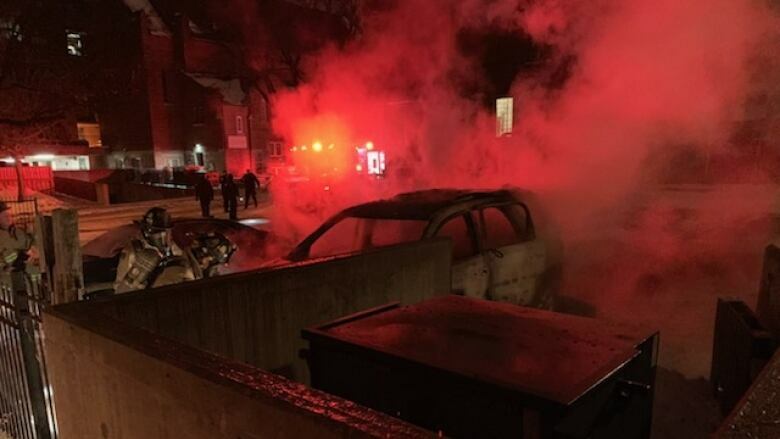 The Ottawa police arson unit is investigating a vehicle fire in the Chinatown area late Thursday night. Emergency crews were called to the area of Arthur Street, just west of Bronson Avenue, after 11 p.m.
Nobody was injured and no arrests have been made, police said. People on Twitter who said they were in the area at the time reported hearing a loud thumping noise.